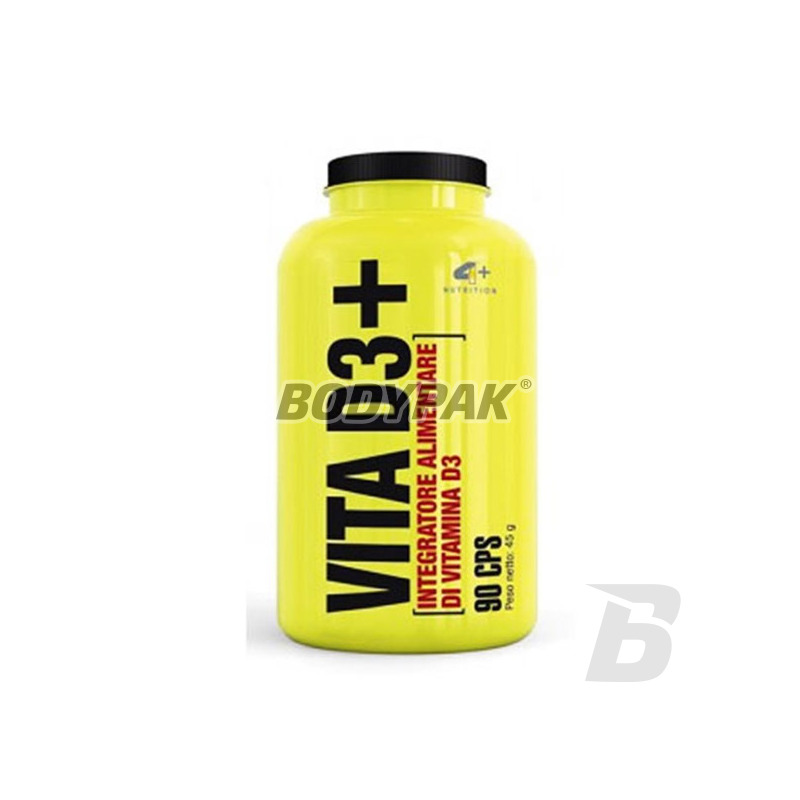 Vitamins & MineralsFOURPLUS 4+ Vita D3+ - 90 kaps. FOURPLUS 4+ Vita D3+ - 90 kaps. Vitamin D3 plays an important role in the economy of calcium phosphate, the extent of absorption of these elements from the food allows you to adjust the level of calcium in the blood plasma, inter alia, by the release of the bones. 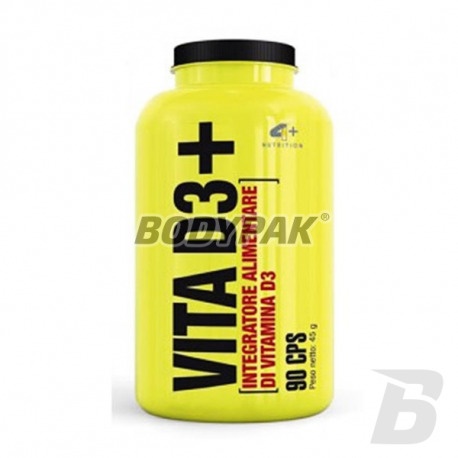 4+ Vita D3 + - comprises cholecalciferol, an organic compound belonging to the vitamin D produced in the skin under the influence of UV radiation previtamin D3 (7-dehydrocholesterol) and also in small quantities delivered may be food (fish, butter, eggs) . Plays an important role in the economy of calcium phosphate, the extent of absorption of these elements from the food allows you to adjust the level of calcium in the blood plasma, inter alia, by the release of the bones. Vitamin D3 affects bone mineralization and function of the skeletal system, deciding the proper condition ankles inner ear acts on bone marrow cells, responsible for density and dental health, regulates calcium - phosphate metabolism, regulates insulin secretion. Składniki: witamina D3 (cholekalcyferol), otoczka kapsułki (olej z kiełków pszenicy, żelatyna spożywcza, gliceryna warzywna). Stosuje w ciągu całego roku- spełnia swe zadanie. Przyjemny preparat na okres jesienno-zimowy! jak dla mnie strzał w 10! super działa, super sie przyswaja! Podstawa mojej suplementacji w okresie małego nasłonecznienia.. właściwie koleżanka niżej ma rację... jednak w ciągu całego roku mogą wystąpić niedobory - polecam!